The U.S. Senate would drastically alter the effective premiums for the dairy margin protection program in its proposed 2018 farm bill released last week. The Senate Ag Committee passed the measure out of committee June 13 on 20-1 vote. For starters, the Dairy Margin Protection Program would be renamed “Dairy Risk Coverage” (DRC). 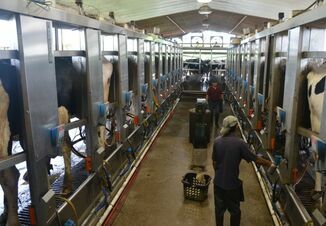 Premium levels for both Tier 1 and 2 farms are adjusted, with Tier 2 (for milk shipments greater than 5 million lb annually) raised substantially. The Senate would also add coverage at the $8.50 and $9 margin level for Tier 1 production (less than 5 million lb/year). The Senate plan would then discount premiums based on production history. For those farms shipping less than 2 million lb annually, the DRC premiums would be discounted 50%. It would discount production history from 2 to 10 million lb by 25%. 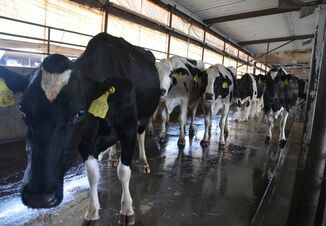 “The Senate bill would provide an additional $100 million into the dairy program, with the funding on top of the $1.1 billion that Congress spent on support for dairy farmers in a budget package earlier this year,” says Jim Wiesemeyer, Pro Farmer policy analyst. Below is the new premium schedule. Discounts would then be applied according to a farm’s production history as noted above. You can read the Senate bill here. Scroll to Subtitle D, p. 25.